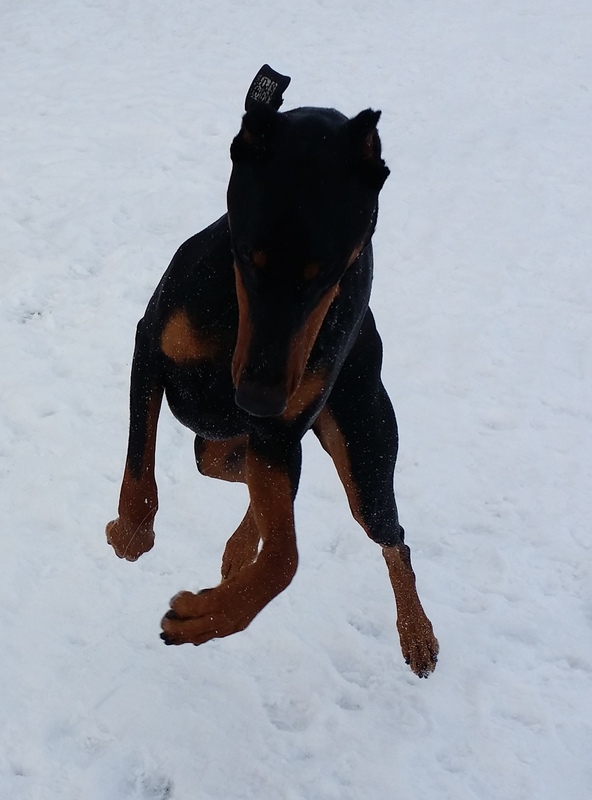 Unidentified Flying Doberman….more at 11…. This entry was posted in Dogs, Musings, Nature, The Universe and tagged D B Mann, Doberman, flying dog. Bookmark the permalink.